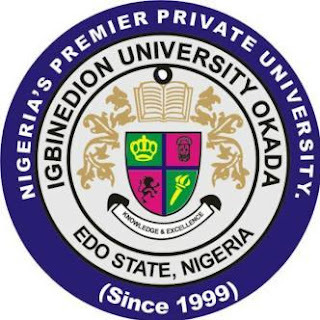 Igbinedion University Okada (IUO) 20th Matriculation Ceremony/Parents Consultative Forum and Pre-Matriculation Orientation Programme Schedule for all Newly Admitted Students for 2018/2019 Academic Session. Authorities of the Igbinedion University Okada (IUO) has announced the dates for the 20th Matriculation Ceremony/Parents Consultative Forum and Pre-Matriculation Orientation Programme Schedule for all Newly Admitted Students for 2018/2019 Academic Session. IUO Pre-Matriculation Orientation Programme is scheduled to hold on Thursday 3rd January, 2019. IUO 20th Matriculation Ceremony/Parents Consultative Forum is scheduled to hold on Saturday 12th January, 2019. See Also: Igbinedion University Academic Calendar Schedule - 2018/2019.